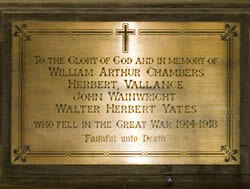 The Saundby War Memorial consists of a brass plaque on the south wall inside St Martin’s Church. The four names on it of Saundby men who died during the First World War represents a very high percentage of the men who had gone to war from the small group of farms and cottages which comprised the village in those days. Walter Herbert Yates was a Lance Sergeant with the Lincolnshire Regiment, 6th Battalion who were fighting in the Gallipoli Campaign in Turkey. 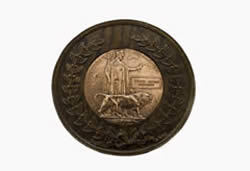 They were ordered to attack (uphill), against some strongly entrenched Turkish positions. The British troops were forced to retreat, and out of five hundred and seventy eight soldiers at the start of the battle, there were over four hundred casualties, one of whom was Lance Sergeant Yates. Herbert Vallance was a Corporal with the Lincolnshire Regiment, 7th Battalion. On 8th March 1918 when he died of wounds, they were in the front line trenches near Flesquieres, France, where he is buried. John Wainwright was a Private in the 5th Battalion, the Lincolnshire Regiment pre-war Territorial Army unit which recruited across North Lincolnshire, and he had probably joined up at the Drill Hall in Spital Terrace, Gainsborough, before the war. The Lincolshire Regiment were heavily involved in the Battle of St Quentin during the 21st to 25th March 1918, when a sudden German assault by overwhelming numbers forced the British to move back in the area of Poziers and Somme. One of the Lincolnshire Battalions involved was reduced to six officers and eighty soldiers, from about five hundred all ranks. 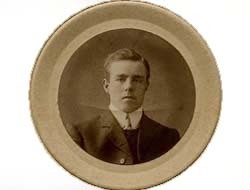 John Wainwright died on 23rd March 1918, aged 29, service number 45841 and his grave/memorial reference panel 29 and 30 at the Pozieres Memorial in the Somme area of Northern France. William Arthur Chambers lived with his parents and brothers and sisters at The Gables Farm, Saundby. He was born in 1886, and became a soldier rather late in his life, as he was thirty three years old when he died in the war. Perhaps he was conscripted under the Military Service Act of 1916, which made it lawful that men between the ages of 18 and 45 years could be conscripted into the Army or Navy (there was no separate Air Force before 1918). Arthur, as he was known to his family, became T3/027121 Drive (Private) Chambers W A with the 3rd Motor Transport Company, Army Service Corps which was part of the 30th Infantry Division, in France. 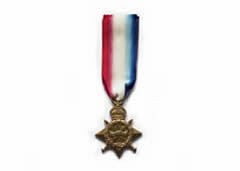 His Company was based behind the front lines near the town of Armentieres. He became ill with bronchitis in the winter of 1918 and died of brocho-pneumonia in a monastry being used as an Army Field Hospital on the 8th November 1918, three days before the war ended. Arthur Chambers is buried in 'Y Farm' Military Cemetery, at the village of Bois-Grenier; Row A, Grave No 30. 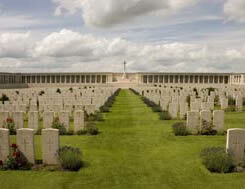 It is perhaps significant that many of the one hundred and twenty one soldiers buried in ‘Y Farm’ Military cemetery died of pneumonia or bronchitis, according to the War Graves Register, probably in the nearby Field Hospital, from the effects of cold and wet weather, wet clothing, and living out in the open; rather than from wounds. 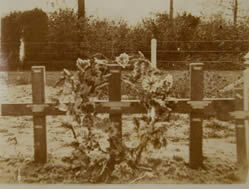 Arthur’s sisters visited his grave in the 1920s, placed flowers on it and took a photograph of the wooden cross. Some years later a second visit was made, by which time the wooden cross had been replaced by a white headstone.His family relatives still have a photograph of Arthur Chambers in Army Service Corps uniform, also the bronze Memorial Plaque inscribed with his name, and a letter of condolence from King George V, sent to the families of those who died in the First World War. A Memorial Lectern, made of oak, was commissioned by his family, and used in Saundby Church where Arthur Chambers was christened and was formerly a member of the congregation.